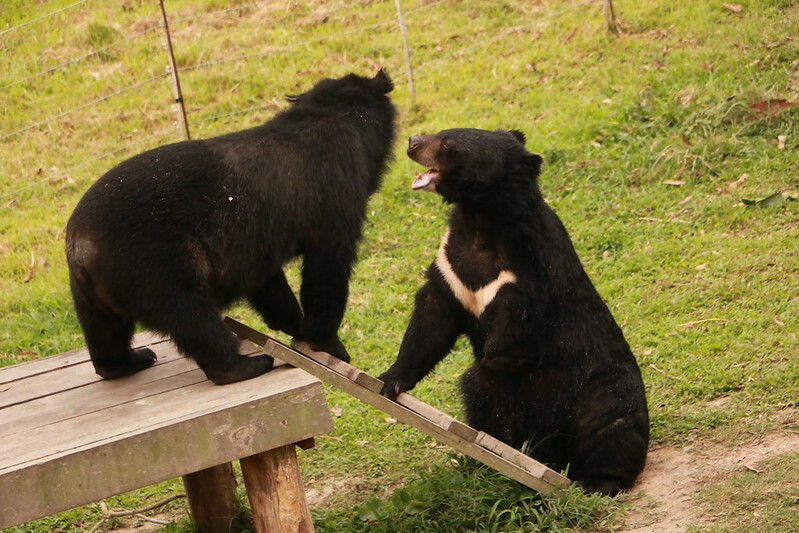 Over the next four years an incredible 1,000 bears are due to be rescued from bear bile farms in Vietnam and sent to sanctuaries around the country as part of Animals Asia’s landmark agreement with the government to completely end bear bile farming in Vietnam. 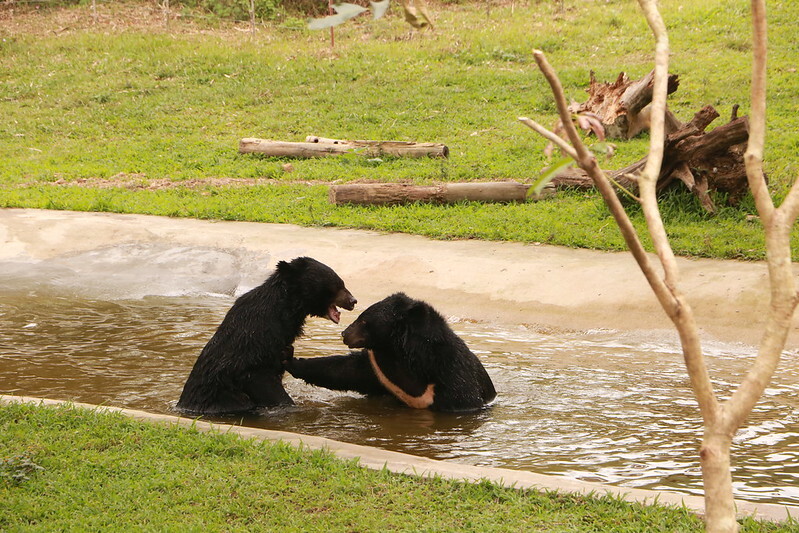 To meet this astonishing demand for spaces new sanctuaries will be built, while Animals Asia’s existing bear rescue centre – the country’s oldest and most respected – is making space for even more residents. Since opening in 2008, the sanctuary has rescued 193 bears and is currently home to 175, just 25 short of the maximum theoretical capacity of 200. 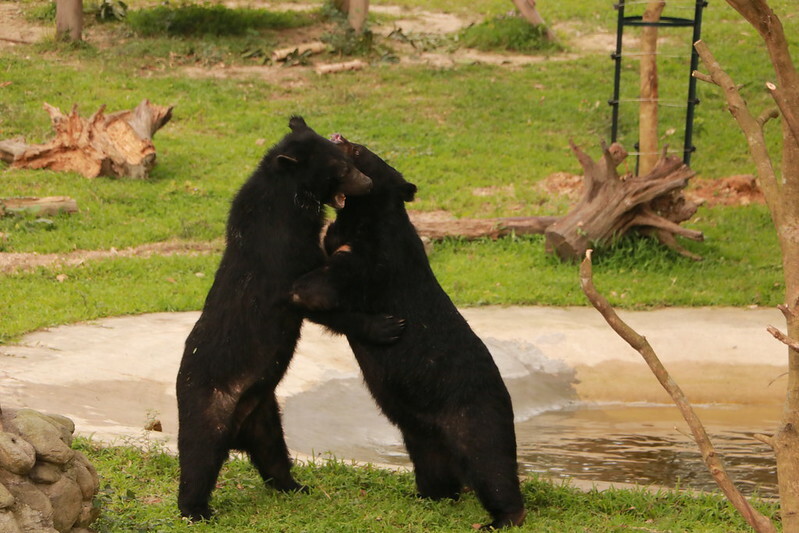 “Once our newly rescued bears are able to be moved to a bear house with enclosures,there is a massive jigsaw puzzle of communities and relationships which has to be rearranged, balanced and juggled to free up the precious space which can enrich another life. This April, bear managers worked around the clock to make a new community of 19 bears in House 5. Weeks of careful monitoring, match-making and painstaking integrations have been successful and now all 19 bears are enjoying their large, grassy outdoor enclosure together. It hasn’t all been plain sailing though. 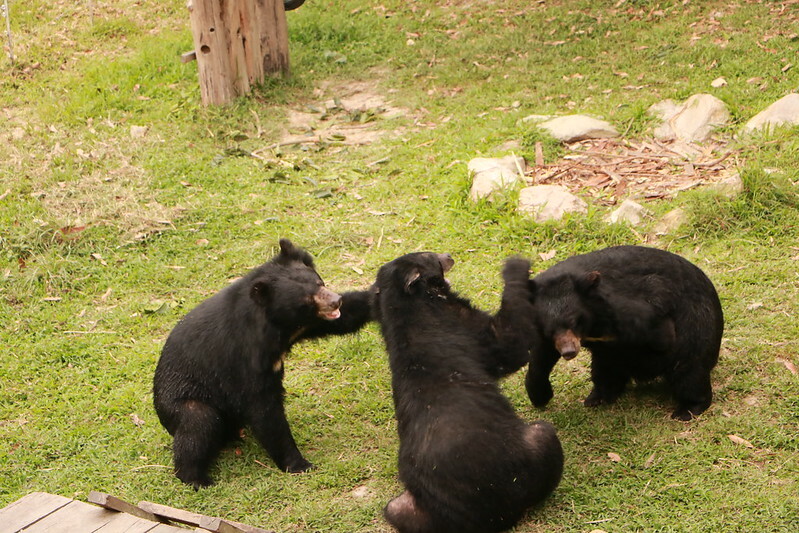 Bear carers spotted Cranberry and Ivy get a little grumpy when new friends Joe and Hercules bumped into the girls while wrestling. To make matters worse, Easy chose just that moment to sit down and rest in the middle of the doorway trapping the grumpy bears together. “The playful boys and the resting girls were all stuck behind Easy with everyone getting a little upset for a while – but eventually Easy got the message and they all went their separate ways. Shy bear Gloria, who was rescued after 15 years alone in a barred cell, chose to relax in her comfy bed-basket while the new friendships were forming around her. More boisterous duo Su Su and Poe came to visit her and were very respectful. They gently sniffed Gloria and didn’t push her to play. “Bi Xanh, Snow, Joe and Poe all got along famously and are a really fun new group of friends, but I think Popeye wins the award for being the most sociable bear. He has played with absolutely everyone and is proving very popular. “Thanks to bears like Popeye, we’ll be able to rescue even more bears from the bile industry and give them the care they so desperately need and deserve."